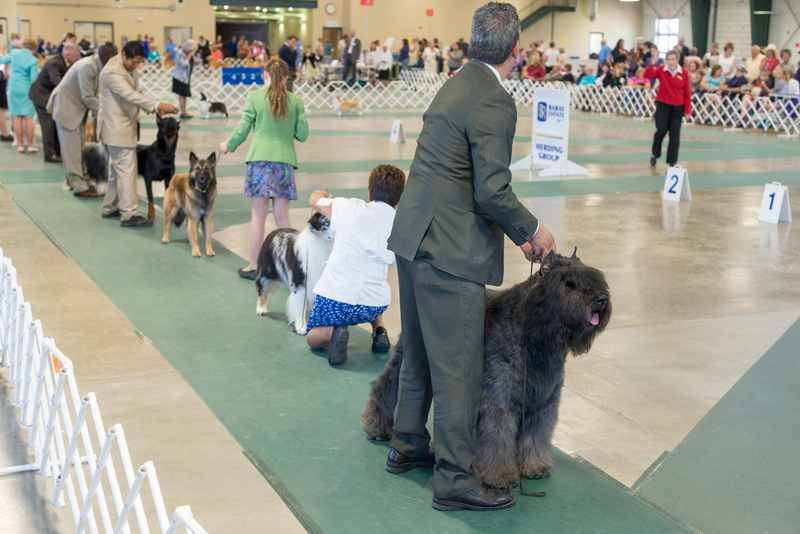 For 33 years now, dogs from all over the U.S. and Canada have been coming to Helena for the Fall Roundup Cluster Dog Show. 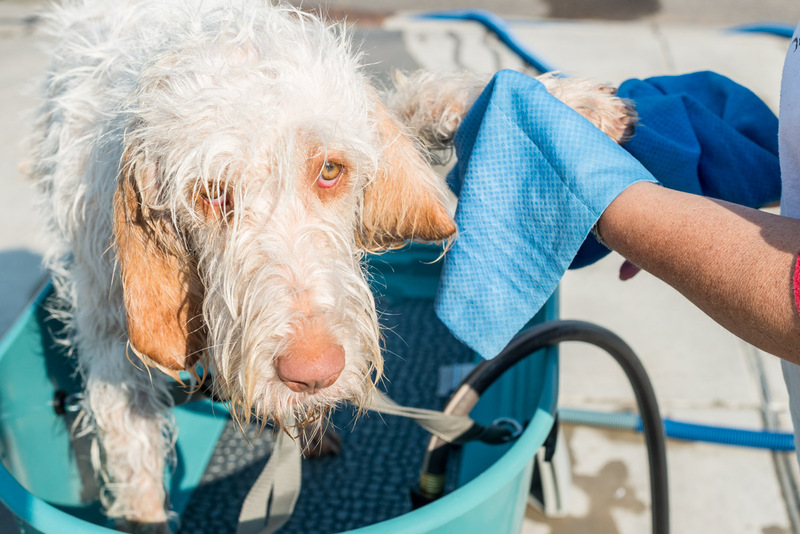 This is Grazie, a breed of Italian hunting dog called Spinone Italiano getting a bath after the first of four days of competition. The dog show life can involve a lot of money and travel, Al goes on to write. Some owners hire handlers to show and travel with their dogs. Others have motor homes to travel with their dogs and are on the road up to 45 weekends a year. 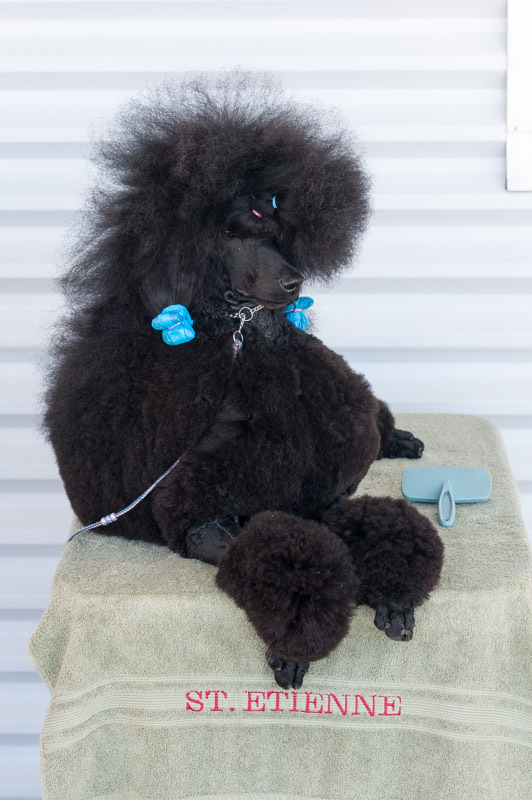 Faith, a standard poodle from Houston, waits for a fresh round of hair spray.